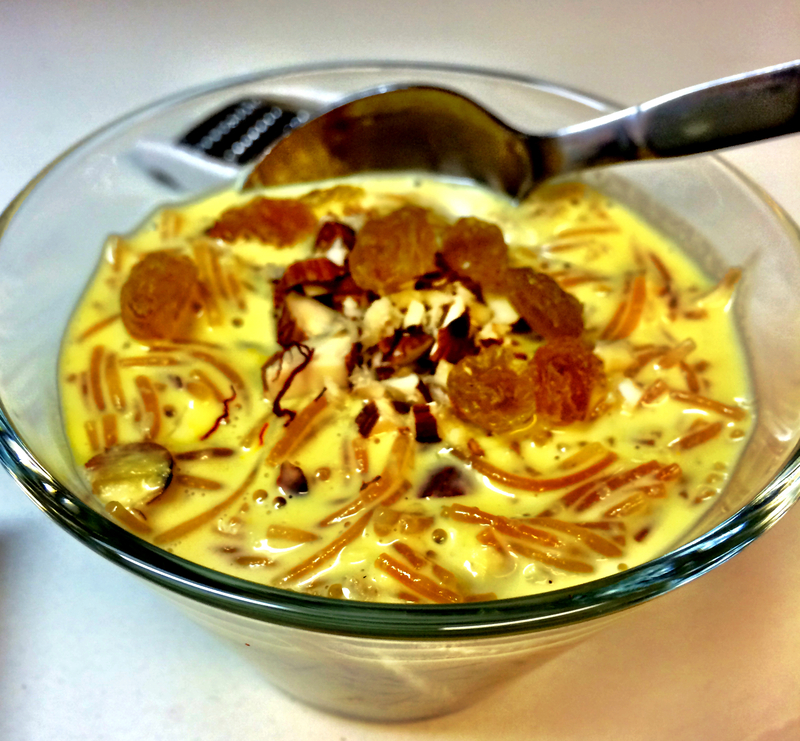 Seviyan Kheer (Sweet Vermicelli Pudding) – One Half Indian. Happy Holi! Before I met my husband, I only knew Holi as a festival of colors where everyone throws colored chalk at each other. 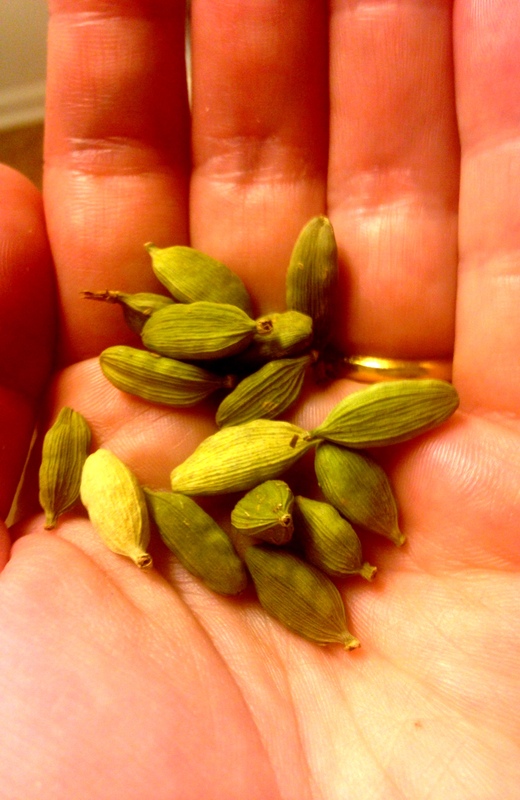 Today, I learned it’s a celebration of winter ending and spring beginning (maybe in India the winter is ending…), and it’s very traditional to make something sweet. 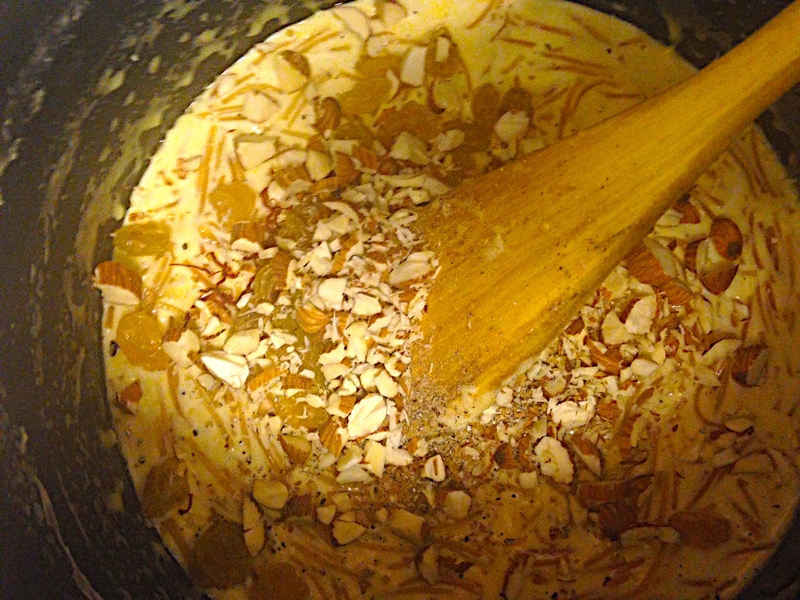 So, I made seviyan kheer for the first time. 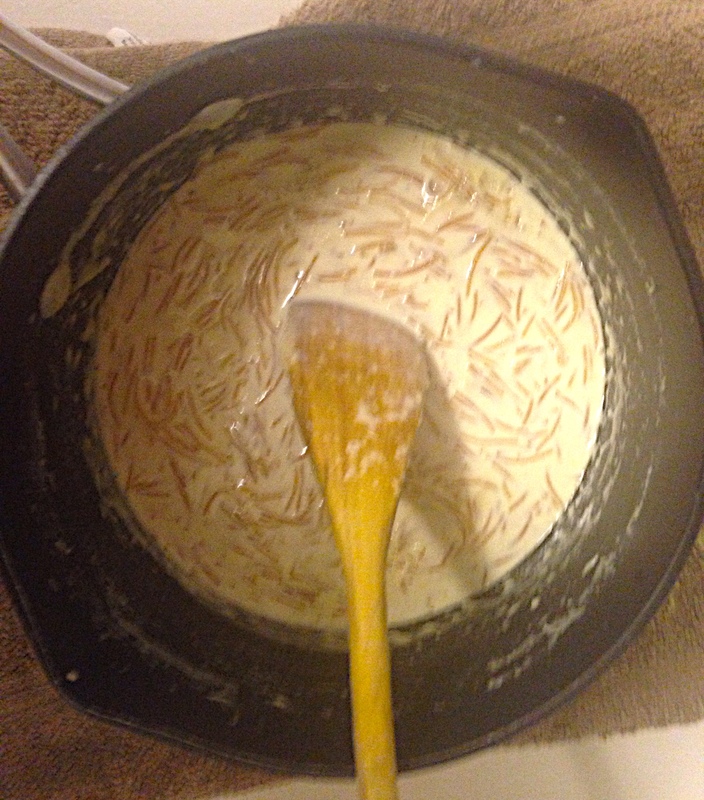 Rice and tapioca puddings have long been a favorite of mine, but my husband recently introduced me to seviyan kheer- a pudding that uses tiny vermicelli noodles in place of rice or tapioca. It’s delicious and worth trying if you love pudding as much as I do! 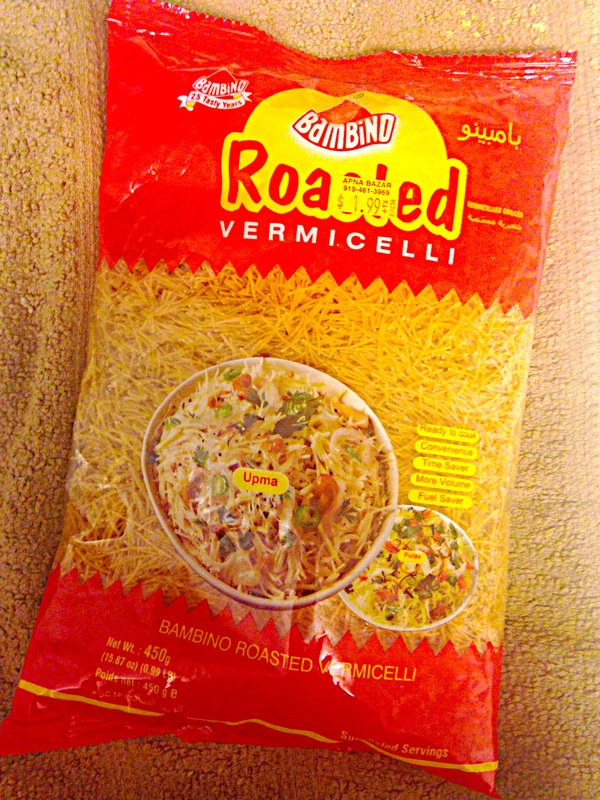 Note: Try to find the vermicelli noodles in the international aisle or at an international grocery store. The American version of vermicelli noodles may be too thick and will definitely not already be toasted some. 1. 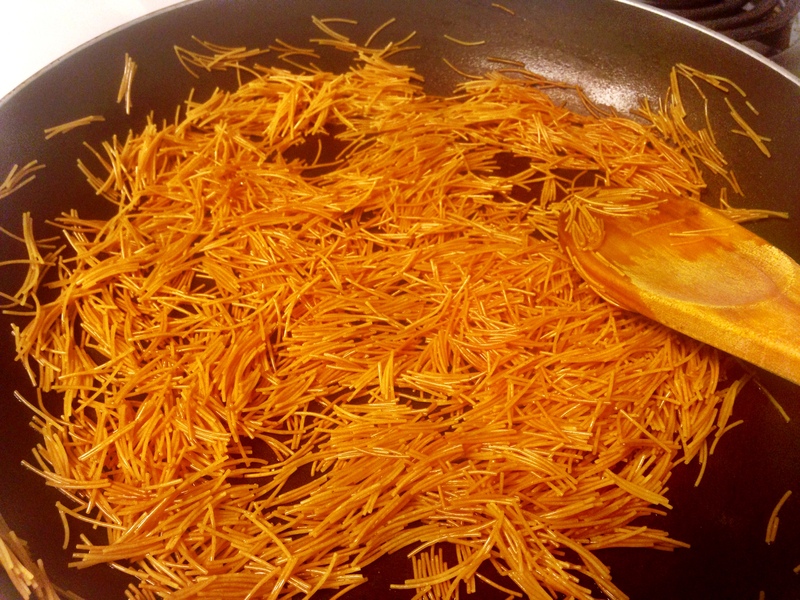 In a frying pan on low heat, toast the vermicelli noodles with the ghee. You want the noodles to be an orangish brown color. My noodles were pre-toasted, so I wanted them to go about one shade darker. It took about 5 mins on low heat. Take the pan off the heat and set aside. 2. In a sauce pan, bring milk to a boil over medium to medium high heat. Slowly bring the milk to a boil. It took about 15 mins for my milk to boil. Be sure to stir frequently to avoid burning. 3. Once the milk boils, turn the heat down to medium low and stir to calm the rapid boil down. 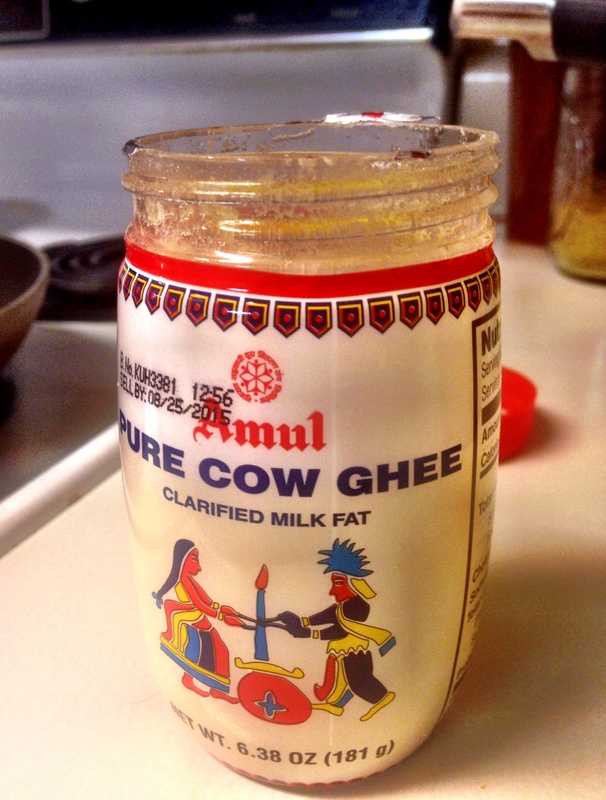 You want to simmer at this heat until the milk is reduced by half. It took about 30 minutes for my milk to reduce that far. Keep stirring almost constantly in this stage so that the milk does not burn. 4. Once the milk has reduced to half or just before, place toasted vermicelli noodles in with milk. Continue to simmer on same heat for another 10-12 mins. 5. 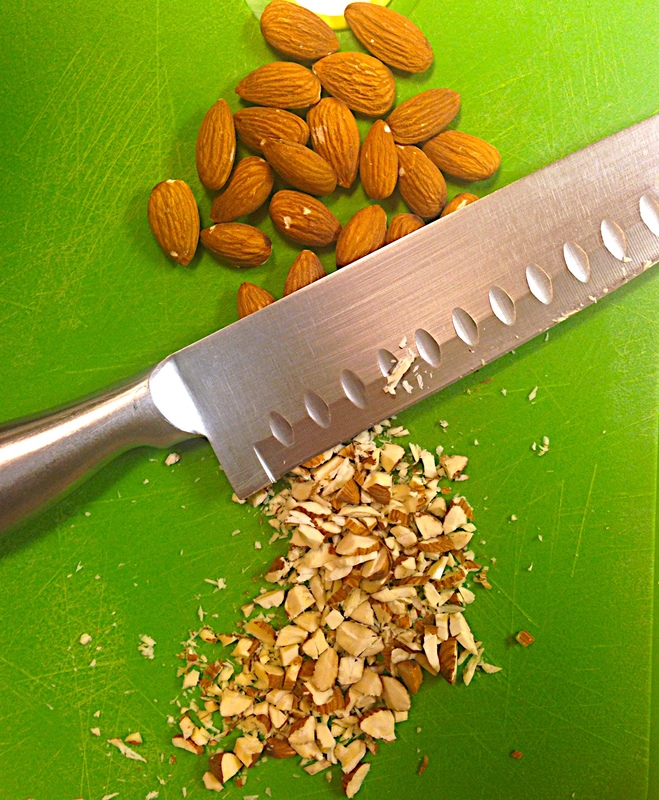 Remove the milk from the heat and add in crushed cardamom, almonds, raisins, and saffron. Stir together. Let sit until cooled to room temperature. Serve at room temp or place in the fridge to cool and set further. (I like it somewhat chilled).